After the death of her father, Nyssa would never forgive the men who stole him to fight in their war. When General Astarin Roeseer rides back into her village, five years later, he is looking for only one thing. 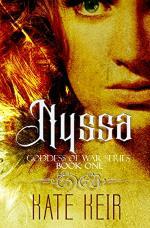 To force her brother, Haydyn to serve as a soldier in the army of Kytara. Nyssa knows that if she lets Haydyn go, she will never see him again. Disguising herself and taking her brothers place, she finds herself taken before the very man who tore her family apart, and her secret is uncovered. Lord Odyn Rygard is ruthless and terrible, yet Nyssa cant help but feel drawn to both him, and his brave and loyal General. With Lord Odyn now determined to take her to his bed, and make her his mistress, and General Astarin Roeseer trying to save her from her fate. 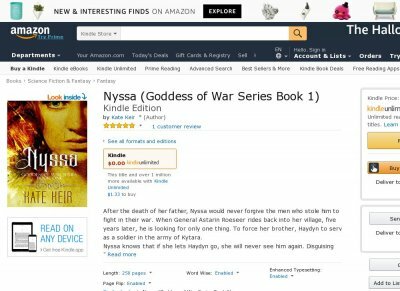 Will Nyssa eventually lose herself to either man As she rapidly realises that in a time of war, not everything is always as it seems.